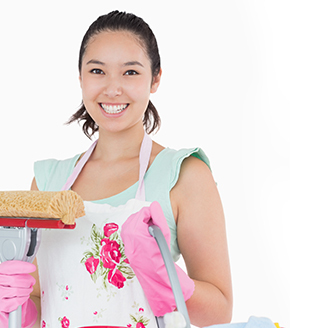 A Housekeeper is a domestic service professional who has the responsibility for the maintenance and cleaning of a private household. Domestic Ambassadors Ltd is delighted to offer our clients a first class housekeeping service of highly sought-after and experienced Filipino Housekeepers. We work to the highest standards and pride ourselves in our exceptional personal client service. Here at Domestic Ambassadors Ltd we know the importance of having a home that is organised, tidy and clean. Filipino housekeepers are world-renowned for their dedication to work, they are known for their high standards in cleaning and housekeeping, as well as childcare and the care of the elderly. It can be very hard to keep on top of your entire housekeeping when you work long hours and have a busy and demanding family life. We take a great deal of care and consideration when interviewing applicants and matching their experience to our clients’ specific needs. We take pride in the work we do and the excellent services that we provide to all our clients, ensuring they receive nothing but the best from us. Our live-in Housekeepers are very experienced. You will have the advantage of having your staff in-house. This means a quicker start to the day and as they can become accustomed to your home better, you will also have the added advantage of being able to build up a trust with your housekeeper that can be difficult if they live separately from you. DUTIES: Cleaning, vacuuming, dusting, polishing, mopping floors, washing, ironing. changing and making beds, organising wardrobe, watering plants, taking clothes for dry cleaning, sewing and mending, de-cluttering, re-cycling, running errands, food shopping, food preparation, cooking, clearing-up after meals and assisting with dinner parties and functions. 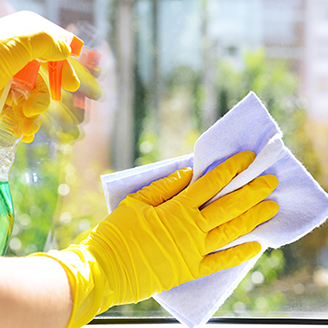 If you require someone to perform daily housekeeping duties for you but you feel that having a live-in staff is not right for you, we offer the option for someone to come in to your home on a daily basis to perform the duties you require. Perhaps you need someone to perform regular housekeeping duties for you but not on a daily basis or only for a short time. We offer both part-time and temporary contracts for all your needs.